With franchising growing every year for the past six years, the successful franchisees and franchisors, for that matter, stay on top of societal trends to keep business booming. Millennials- This cohort, born roughly between 1981 and 2000 affect everything because of their sheer numbers which are greater than that of baby boomers. Raised on the internet and technology, this group loves to be catered to. They want the owner to know what they want before they even go shopping! Baby Boomers- As they age, boomers need new and customized services including housing, fitness, aging parent assistance and financial and retirement planning. Other programs and services tailored to their aging experiences will be in high demand. Minorities- A new majority consisting of Hispanics, Asians and African-Americans is being formed. The growth here presents new opportunities for franchises focused on serving these groups. Recession-proof businesses- Businesses like shipping and packaging, hair care, tax preparation, childcare, pet care, computer services and many more do well in any economy. House cleaning and mailing services businesses especially appeal to those who want to stop doing maintenance work in order to pursue more life-fulfilling activities. Personal care- This includes fitness centers, spas, tanning centers, healthy fast good and tailored education programs designed to improve physical appearance and mental well-being. Green businesses- With LEED-certification and other guidelines aimed at sustaining and improving the environment, opportunities have arisen in areas such as home improvement, energy savings and green home care. Staying current with these trends helps the franchisee and franchisor stay relevant in the ever-shifting market. 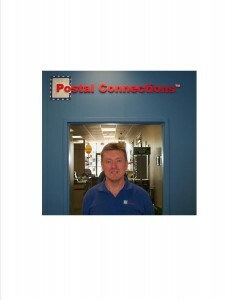 Fred Morache is a franchising expert and a partner in Postal Connections of America and iSold It franchisors. This entry was posted in Uncategorized and tagged franchising, iSold It, Postal Connections of America on January 11, 2017 by franchisefred. Simply understood, customer service is the value added during a transaction. This is especially important when the product is a commodity. It’s about the extra value a customer gets when they buy a product readily available in many other places. Successful service franchisees have figured this out and are overcoming economic issues and competition. They know people like to have a healthy dose of value added in commercial relationships. A Play Station System got snatched from a doorstep. Although, Amazon was not responsible, the retailer sent a replacement, didn’t charge for shipping and got it there in time for Christmas. Service differentiates your business so allow your passion for it to stand out. According to a recent study in Ad-ology, when a business continues to advertise, especially in tough times, consumers see this as a sign of commitment to their enterprise. Your message is more likely to get noticed and your business is more likely to be remembered when businesses start advertising again. Throughout the Great Depression and all recessions, Proctor and Gamble practiced a philosophy of not reducing advertising budgets even while their competitors cut ad buys. It’s not a coincidence that the company progressed during each of these economic downturns to become the giant it is. This entry was posted in Franchise Evaluation and tagged commercial relationships, franchising, Play Station, Tom Peters, Zappos on March 16, 2016 by franchisefred. However, the success of these franchisors and others spawned some unfunded and poorly managed franchise ventures in the 1960s and 1970s. Some even bordered on fraud where money was taken from those eager to own businesses but a franchise was not delivered as promised. The federal government stepped in in the form of the Federal Trade Commission (FTC). Many regulations were added to bring full disclosure of what potential franchisees might be getting themselves into. Also, the FTC created the Uniform Franchise Offering Circular (UFOC). This was updated in 2007 and is now called the Franchise Disclosure Document (FDD). Along with the FDD, the business contract (Franchise Agreement) must also be included. Every franchise is governed by these two documents. In fact, if it’s not in the Franchise Agreement, it’s not an obligation. Obviously, for potential franchisees these are must read documents. They are designed to make sure that everything is above board and the franchisee is getting good value at a fair price and that it’s something that can be verified. This entry was posted in Franchise Evaluation and tagged franchising, FTC, IFA on June 27, 2014 by franchisefred. What do you do if you’re a veteran who is reentering the workforce? You might get a traditional job. However, after serving in the military and coming out with a set of impressive skills like humility, a service mentality, discipline and most importantly, the ability to see any situation all the way through, you might consider owning a business. These skills and others acquired in military service makes you a perfect candidate for entrepreneurship. That’s what happened with Marc Richard. 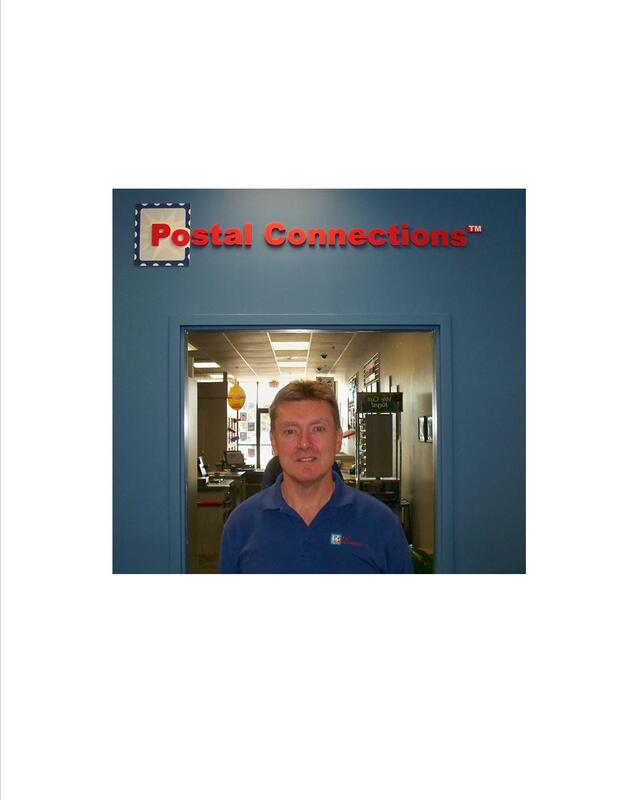 He bought a Postal Connections franchise in Vero Beach, FL in 2010 and proceeded to thrive in the franchise environment. So much so, that in 2011, he was named Franchisee of the Year. He also will be a forum presenter at the Military Officers Association of America Career Fair held the week of May, 12th, 2014. He transitioned from graduating from West Point to serving as a US Army infantry captain to joining the workforce to becoming an entrepreneur which is the topic of his speech at the Career Fair. Marc is uniquely qualified to speak about his experiences which may help other veterans seeking a path after their honorable service to our country. In 2007 (the latest year figures are available for), there were 2.45 million businesses with majority ownership by veterans, representing 9% of all US firms. 8.3 percent of the respondents had service related disabilities. California, Texas, Florida, New York and Georgia had the largest number of veteran-owned businesses. 75.1 percent were 55 years and older and tended to be better educated than other business owners. Finance, insurance, transportation, construction and scientific and technical services were among the industries that veterans were involved in. The largest capital source (reported by 61.7% of the respondents) was personal or family savings followed by business loans (9.8%) from commercial financial institutions. Often, veterans who go into business for themselves, especially in franchising, can take advantage of favorable offerings to ease the transition. For example, currently, Postal Connections is offering 50% off the franchise fee for veterans. In addition, the turnkey nature along with the built in support system (In Business for Yourself but not by Yourself) features of a franchise can make it a very attractive option for veterans seeking their hard earned slice of the American Dream. This entry was posted in Franchise Evaluation and tagged American Dream, franchising, postal connections, veteran on May 9, 2014 by franchisefred. The importance of the American Franchise system cannot be overemphasized. Since the 1840s, when German brewers granted rights to taverns to craft their beer, the system made its way across the pond to gradually become the major force in American business that it is today. Isaac Singer, who improved the sewing machine in the mid-1800s, is considered one of the first, if not the first, American franchisor. Now, the business models attract every type of individual seeking his/her slice of the enticing American Dream of business ownership. In franchising’s case, this is a tried and true business formula. There is a reason that franchising remains so popular among such a diverse segment of entrepreneurs. The formula is successful. Because, let’s face it, it’s tough to make a go of a business. With a franchise, however, you are in business for yourself but not by yourself. And that’s what creates the dynamics in these statistics. When considering a business opportunity, make sure you look at the power of a franchise. If you join one, you will be part of one of America’s great economic engines. This entry was posted in Franchise Evaluation and tagged American Franchise System, franchise facts, franchising, franchising in America on May 2, 2014 by franchisefred. What Does a Franchise Cost and What is the Money For? As one who offers franchise opportunities, typically the first question asked by interested people is how much does it cost to become a franchisee and what does this include? To answer this question it needs to be understood that a franchise is a system—usually including proprietary methods, training, a brand name and support from experts—for operating a proven business concept. With franchising, no matter what your initial buy-in is, you should be able to make money. The franchise cost of entry and how fast you reach an ROI, greatly depends on what franchise you choose, what you can afford and the ongoing cost for operating the business. But where the initial investment money goes is similar for most franchises. Franchise Fee- This is what must be paid to become part of the franchise system. It is for the tried and true business concept, the expertise of the franchisor and the chance to become part of a money-making opportunity. This fee can run from a few thousand dollars to more than $100,000 for greater opportunities of revenue and for the higher end, well known franchises. It usually includes the rights to use proprietary materials and systems as well as the cost of training, initial marketing packages, software and website access. The franchise fee also can be based on the size of the territory (population) that you will service and how much support will be provided by the franchisor. For example, the iSold It franchisor offers both an at-home and a brick and mortar location franchise system. The franchise fees are different due to territories defined and training. Build Out and/or Business Set-Up Expenses- These are expenses needed to make any modifications to the physical space to conform to the franchise standards. They include equipment, software (if needed), branding décor, sales materials, supplies, freight to deliver items, training, and other expenses the franchisor might incur to set-up your business. For example, if you are opening a retail business, it would be flooring, cabinets, counters, sales inventory, equipment, signage, etc. It also includes construction costs, fees for any local licenses and materials needed to bring the store up to standard. For a home based business it typically includes equipment needed to market and sell things, products, business supplies, and branding materials (whether online or printed). Typically, the franchisor is heavily involved in assisting you in this important process. Liquidity or Operating Reserve- It will take some time before the franchise turns a profit so franchisors usually require new franchises to have cash-on-hand to take them through that period. This could be needed for as little as six months to over a year. It is the money needed to keep the business going until you pass a breakeven point. This is the financial number, often called fixed cost of the business, that you need to “keep the doors open” whether or not one sale is made. Once you become a franchisee, your franchisor should spend time with you determining exactly what your breakeven point is. He should also help you plan several years out about how much sales revenue will come to you as wages or profit distribution. These categories of cost, called Total Initial Investment, are the amount you should expect to invest in the new franchise. Every franchisor is required by the Federal Trade Commission to accurately report the Total Initial Investment to people considering purchase of the franchise in their Franchise Disclosure Document [FDD] and in any advertising stating the initial cost. Professional Costs- In making a life-changing purchase like buying a franchise, you may want to hire an attorney to help you make a sound decision. The attorney will review all of the franchise documents to make sure they comply with local and state laws as well as to ensure you understand the franchisor’s and your obligations stated in the language of the franchise agreement. If you need to set up a corporation and need help setting up your books, you may need to hire an accountant also. Hire professionals who are familiar with the way franchises work. Obviously, it’s important to understand what you will initially pay out and be comfortable about where that money is going and how it will come back to you with a profit. Never be too embarrassed to ask as many questions as it takes for you to fully understand what you’re paying for. This entry was posted in Franchise Evaluation and tagged franchise cost, franchise fee, Franchise Fred, franchising, postal connections on April 3, 2014 by franchisefred. 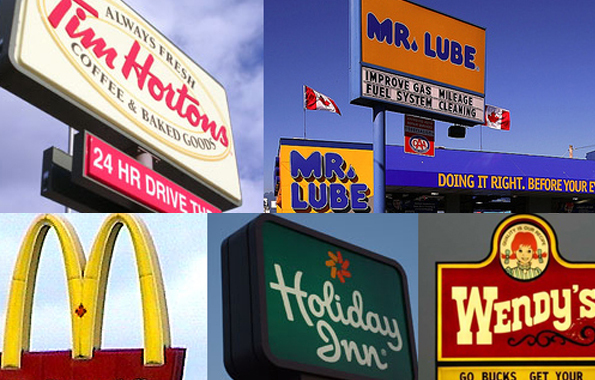 Franchising is a uniquely American business model. In fact, the entire idea of selling a proven business formula to others with support over a period of years in return for royalties became popular in the US just after WWII. Since then, franchises have grown to account for a third of the businesses in the US There isn’t a small town or busy city street that doesn’t have a store or service truck operated by a franchisee. An important factor in considering a franchise is deciding if you prefer a big or small franchise system. These well-known organizations offer brand recognition that brings people to the business whether online, on the phone or on the street. You pay for the brand recognition in the initial investment as well as to an ongoing fund to continue promotion of the awareness and good image of the company. For example, some of them can cost as much as $500k for the total initial investment and up to 8.5% of your monthly sales. Also, as a franchisee, you will work with staff operations, business development or marketing departments of these franchisors. Programs are sophisticated and typically originate and are directed from headquarters. Individual face-to-face attention is emphasized less and implementation of standardized programs are the most common solutions to business challenges. Choosing a lesser known franchise brand, usually smaller but with a proven business model, are ideal for people who have fewer capital resources, seek flexibility in operating the business, and are prepared to do much of the marketing effort locally. The initial investment is less and the ongoing marketing cost, usually, is less. Initial costs may be as little as a few thousand dollars and ongoing royalties are generally low. Be sure the franchisor is committed to be in business with you. This means the franchisor is “with you” as you set up the business. He thoroughly explains the business formula so you understand the financial model, the best sites to look for and how to work with vendors. Check to see if he can be reached in a timely fashion. Will he come to visit you when needed? Does he demonstrate understanding of your business goals and will he help you achieve them? Be sure to know what resources are available to you through your franchisor. This includes working with you on a step by step basis in organizing the necessary opening resources needed to open your store. Find out if your franchisor has a non-fiduciary relationship with any funding sources he might be recommending. Check out how the training program is run including the franchisor’s commitment to it. Whether the franchise is large or small, make sure the business model is proven. That’s what you’re paying for. It’s supposed to have all of the bugs worked out of it and be ready to generate a profit assuming you put in the required effort. One thing that cannot be discounted is how you feel after you meet with the franchisor. Are you getting a good vibe? No matter which route you take, a large or small franchise business, it has to feel right. This entry was posted in Franchise Evaluation and tagged American business model, considering franchise, franchises, franchising, postal connections on March 27, 2014 by franchisefred. The word franchise originates from the Anglo-French: franchir (to free) and franc (free). The concept of franchising slowly developed in Europe from roots going back to the middle ages. Back then, titled land owners granted rights to people to hold fairs, operate markets and conduct other business on their land. The rights became rules and as such, part of European Common Law. In the US, credit for beginning modern franchising, goes to Isaac Singer, founder of the Singer Sewing Machine Company. In the 1850s, Singer wanted a wider distribution for his sewing machine but did not have the cash to increase manufacturing them. Another issue he faced was that people would be reluctant to buy his machines without some type of training which was not provided by retailers at the time. Singer decided to assess licensing fees to individuals who would own the rights to sell the machines in certain geographical areas. The licensees also were responsible for teaching customers how to use the machines. This created a platform for making a sewing machine commercially available to the public. In 1932, Howard Johnson established the first modern restaurant franchise system stemming from one successful restaurant in Quincy, Massachusetts. The concept was to allow independent business people to use the same name, supplies, logos and procedures in exchange for a fee. Ray Kroc was a salesman of milk shake makers. When he bought a small hamburger joint in 1954, he saw that the owners had perfected a high-volume food production system that combined fast service and low costs with consistent food results. Kroc became their licensing agent and first recruited franchises in the Chicago area (The first was in Des Plaines, IL, a northwestern suburb of Chicago). The franchising business method got so big that the International Franchise Association was founded in 1960. Their purpose was to provide guidance to the entire industry. In 1978, the Federal Trade Commission got involved by creating laws designed to protect franchisees. The franchising system has a stalwart history and has proven to be the path to success for many an entrepreneur. This entry was posted in Uncategorized and tagged franchising, franchising system, history of franchising on March 5, 2014 by franchisefred.